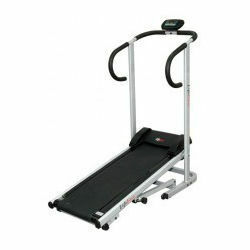 - Provision of two different levels easily adjustable, which helps to walk or jog on same machine. - Foldable easy to store & wheels for easy protability. Treadmill is the most prevalent workout gear in the exercise center and generally. We keep confidence the treadmill for quickened weight reduction as a large portion of us accept that working-out on a treadmill is the best and most effortless approach to practice to stay in shape. 4 in 1 Manual Treadmill is perfect cardio and gymming machine. It is a perfect combination of quality, power, durability. We are offering Roller Jogger Treadmill to our clients. 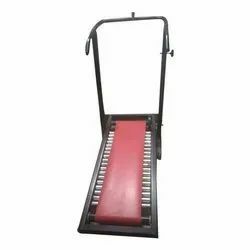 With a firm commitment to quality, our organization is involved in offering a wide ambit of Manual Treadmill. Features:• Durable• Low maintenance• Strong designElectronic DisplayHigh quality bushes with bearing. We are providing Outdoor Treadmill to our clients.